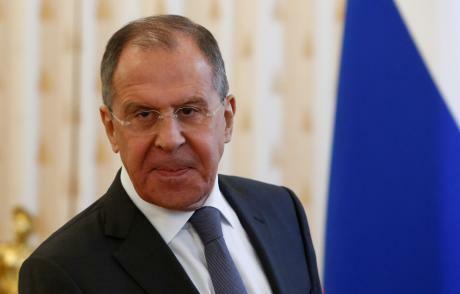 Russian foreign minister Sergei Lavrov told Qatar on Saturday of its concern over Arab nations cutting ties with the Gulf state and called for talks to solve the crisis. “As a matter of policy we do not interfere in the internal affairs of other countries or their bilateral relations with each other. But it does not give us joy when relations between our partners deteriorate,” Lavrov told Qatar’s foreign minister Sheikh Mohammed bin Abdulrahman al-Thani at talks in Moscow. The Arab world’s biggest powers, including Saudi Arabia, Egypt, and the United Arab Emirates, severed diplomatic relations with Qatar on Monday, accusing it of support for Islamist militants and Iran. Lavrov said Moscow was ready to act “with the consent and the interest of the parties involved” to help resolve the diplomatic row. “We call for all contradictions to be resolved at the negotiation table through a mutually respectful dialogue,” Lavrov said, adding Arab states should unite to effectively fight terrorism. Sheikh Mohammed said Qatar was committed to solving the issue via a dialogue and that he considered the Cooperation Council for the Arab States of the Gulf as the most appropriate format for such talks.